Born in Albuquerque, New Mexico, Conway trained in the US and UK, her primary mentors being the legendary movement teacher Trish Arnold and Jane Gibson and Sue Lefton in London. Since the 1970s she has pursued her love of physical expression through teaching, performing, and coaching. She is a Permanent Faculty member at Shakespeare & Company and served as its Clownmaster for several years. Merry has taught at a number of American institutions, including Carnegie-Mellon, Emerson, Brandeis, NYU, and Cal Arts; and in London at The Guildhall School and Mountview Theatre School and Drama Studio. 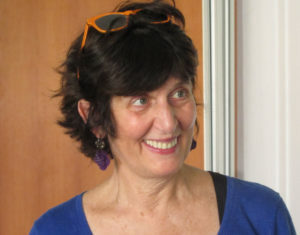 In Italy, she has taught at the Teatro della Pergola School in Florence directed by Pierfrancesco Favino, The University of Rome Masters for Linklater teachers, Link Academy in Rome, Stromboli Fluido Numero 9, and conducted several workshops with Linklater Roma and Conimieiocchi in Calabria. She has team-taught twice with Kristin Linklater at her Center in the Orkney Islands, Scotland, she has taught the Leadership Fellows of the World Economic Forum at Columbia University, in NYC, along with Kristin. For 20 years Merry was Co-Artistic Director of Conway & Pratt Projects, creating large scale performance installations with collaborators Noni Pratt and Gregor Paslawsky. Serving as movement coach for Anna Deavere Smith over 10 years, Merry had the opportunity to work on the specificity of gesture and expression for a wide range of characters in Smith’s powerful stage and film versions of Twilight/Los Angeles and House Arrest. Based in New York for thirty eight years, she has recently returned to New Mexico to absorb the lessons of the landscape.